It was a solemn event with around 150 people attending the service. We believe that this is the most important event of the year for the Coalition. It is important to remember these individuals upon their death because society largely forgot about them in their life. It was nice to see homeless people who were staying the night at the Metanoia Project to join with members of the Coalition at this event. We need to thank City Council President Kevin Kelley attend and say a few words of encouragement to those gathered. Kelley brought his family to stand and remember those who have died. Rev. 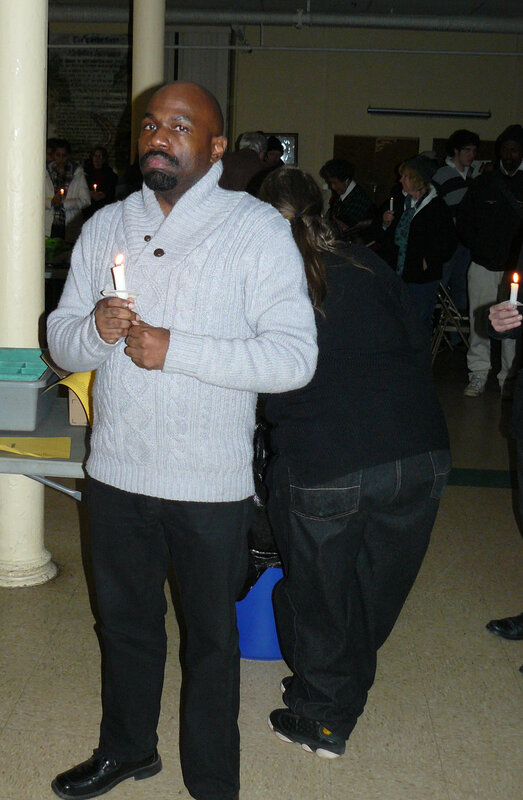 Mendle Adams gave a prayer for the dead and board member Michelle Russell read the names for the service. Brian Stefan Szittai and Megan Wilson Reitz of the Catholic Worker Community provided the music for the Candlelight Vigil. Thanks to Carl Cook and Tim Walters from the Metanoia Project for again hosting us for this 28th Memorial. We join over 100 cities across the United States that are hosting similar events. This is also part of the Ohio Homeless Memorial Day marked by similar services in Cincinnati, Dayton, Columbus, and Toledo. We have a gallery of photos from this event here. We also have a page of all the names we have read from the past 15 years. 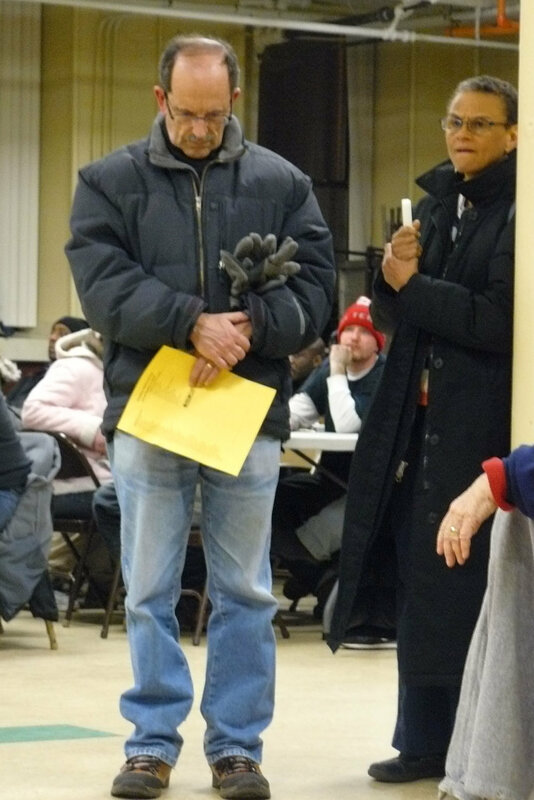 In a year of fighting, hardship and fear, there was one postive note in that this is the second year of decreases in the number of people we read at the Candlelight Vigil from a high of 73 in 2012 to only 40 souls this year.